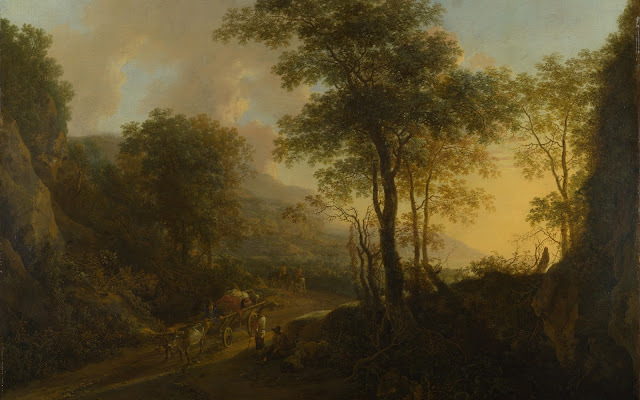 The emergence of the Dutch school of painting in the early seventeenth century is one of the most remarkable phenomena in the history of the visual arts. 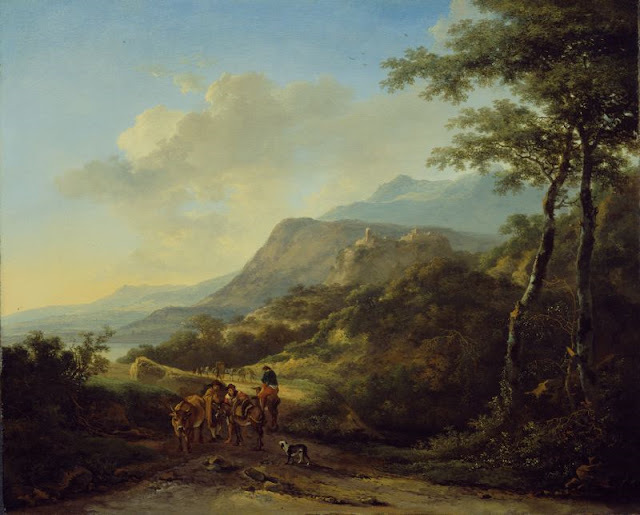 The Dutch Republic, a small country that had only become a political entity in 1579 and was still suffering from the effects of a long and arduous war with Spain, would hardly seem to have had the resources to nourish and sustain its artistic traditions. 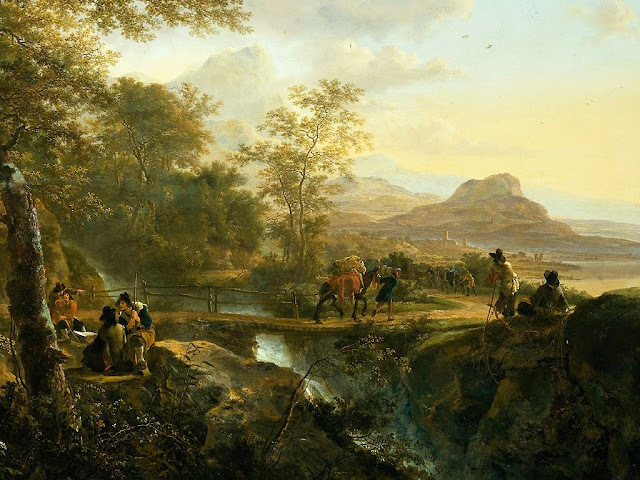 Nonetheless, in every respect, the Dutch seem to have drawn strength from adversity; they profited in terms of trade, political awareness, religious tolerance, wealth, and above all, self-esteem. They were proud of their achievements and were determined to provide for themselves a broad and lasting foundation that would define their unique social and cultural heritage.The XVII th century is the moment when landscape painting was born. The landscape, with all its elements, became from only a background for mythological or religious scenes the main character. These amazing painters redefined completly the concepts of painting, not only in terms of subjects but olso in terms of technique. 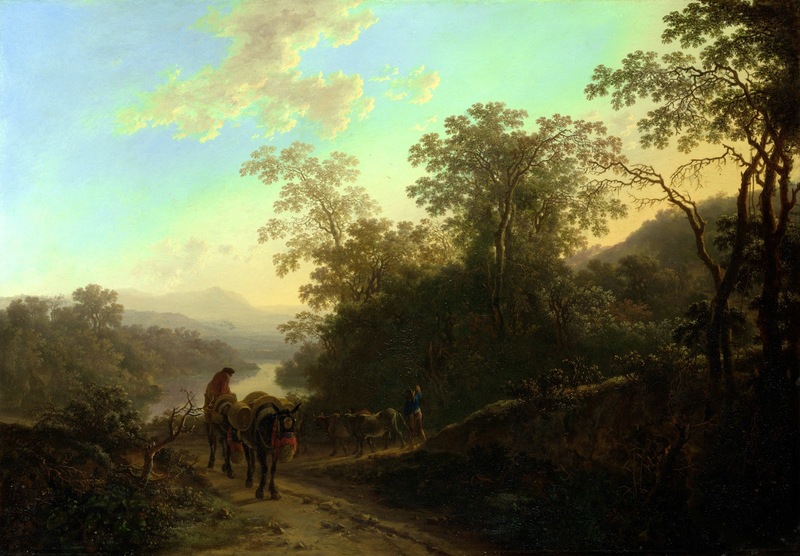 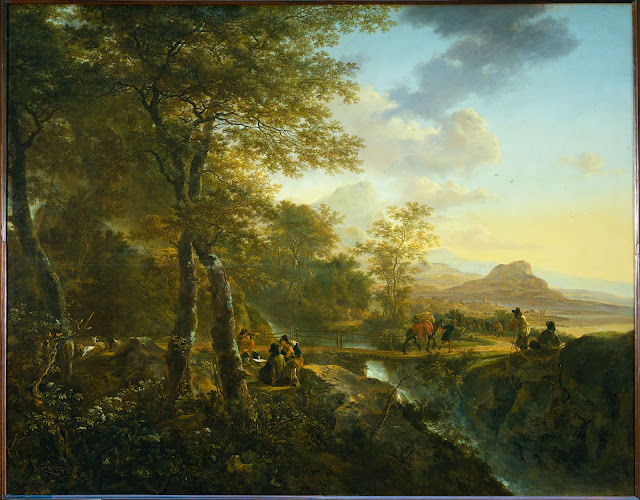 They changed and influenced the style of all the future generation of landscape painters being the main spiritual mentors of almost all the great landscape painters who continued and developed their tradition until present times. Some of the paintings (maybe the less detailed ones with a more "loose" style) may belong to some of his students. 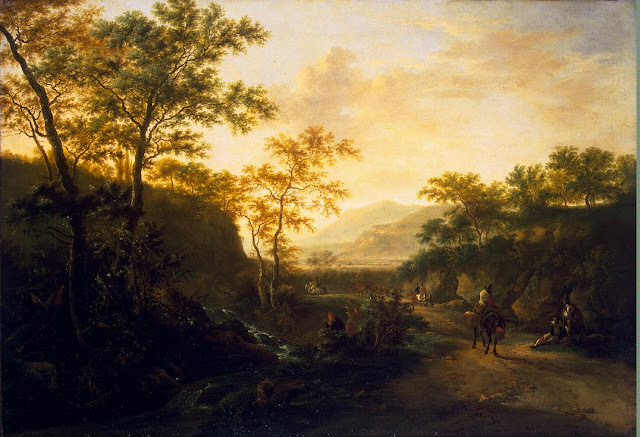 Willelm de Hauch had a very similar style and I saw some confusions on internet between the two of them. 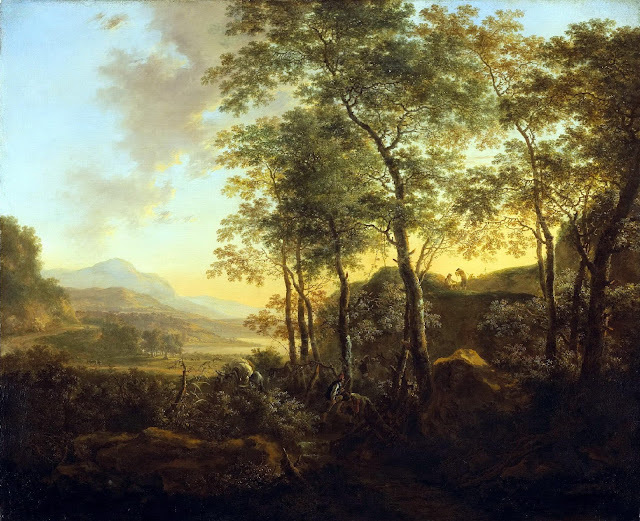 Jan Dirksz Both (between 1610 and 1618 - August 9, 1652) Jan Both was a Dutch painter, draughtsman, and etcher, who made an important contribution to the development of Dutch Italianate landscape painting. 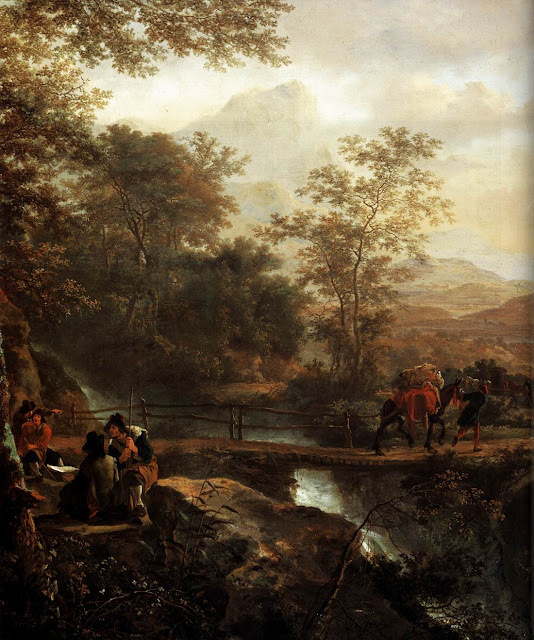 Both was born in Utrecht, and was the brother of Andries Both. According to Houbraken, the brothers first learned to paint from their father, who was a glass-painter or glazier there. 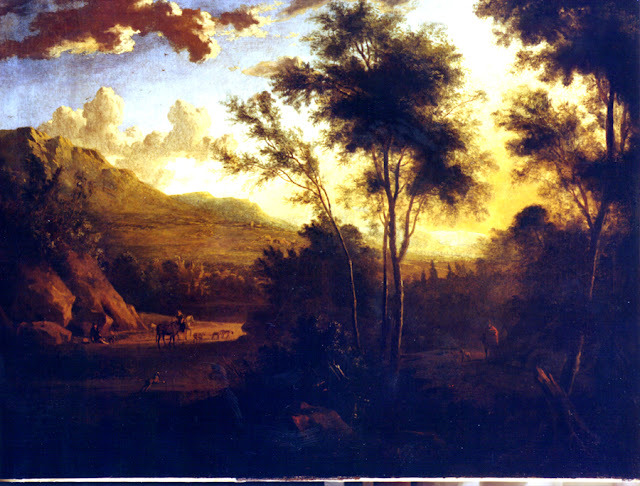 Later Jan was a pupil of Abraham Bloemaert and still later the brothers traveled together to Rome via France. 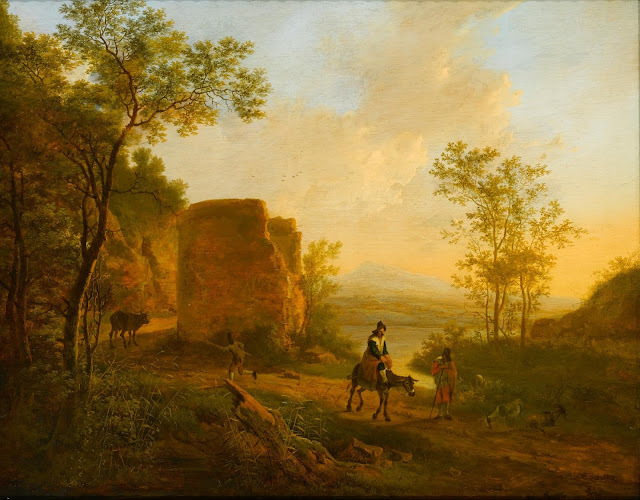 Gerrit van Honthorst has also been suggested as a teacher. By 1638 Jan and his brother Andries were in Rome where Andries concentrated on genre works in the manner of Pieter van Laer, while Jan concentrated on landscapes in the manner of Claude Lorrain.In 1639 Jan collaborated with Herman van Swanevelt and Claude Lorrain on a project for the Buen Retiro Palace in Madrid. 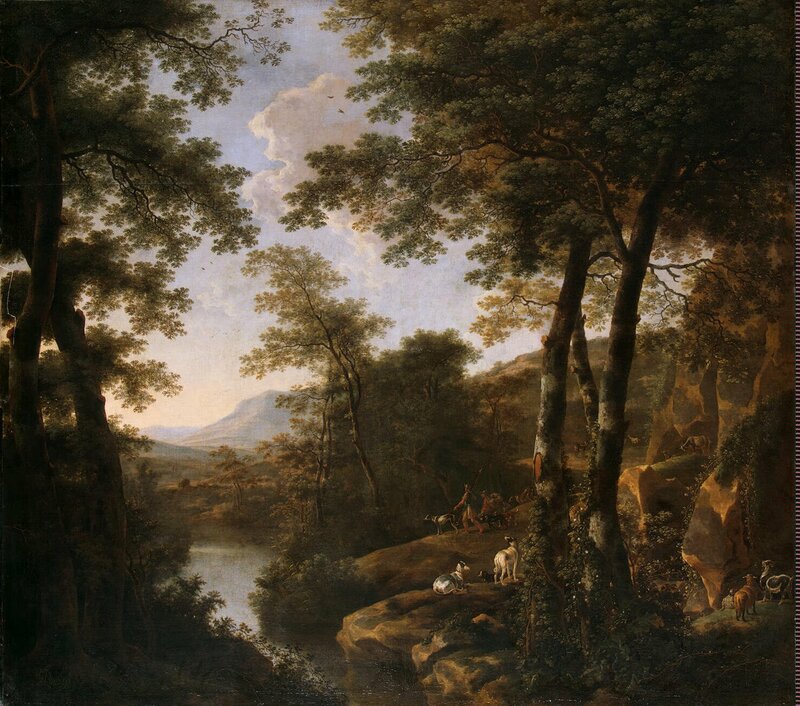 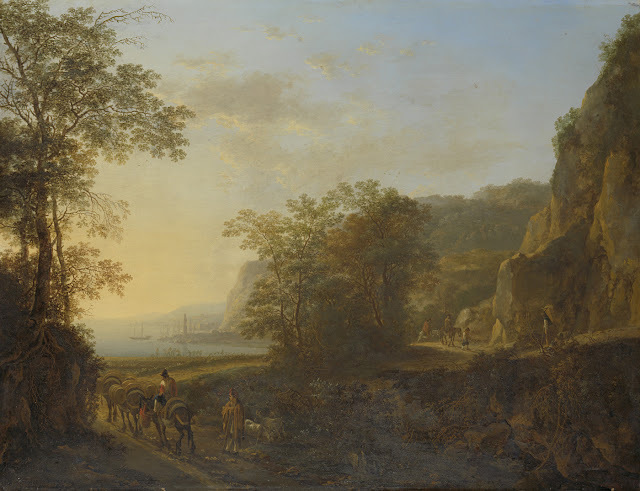 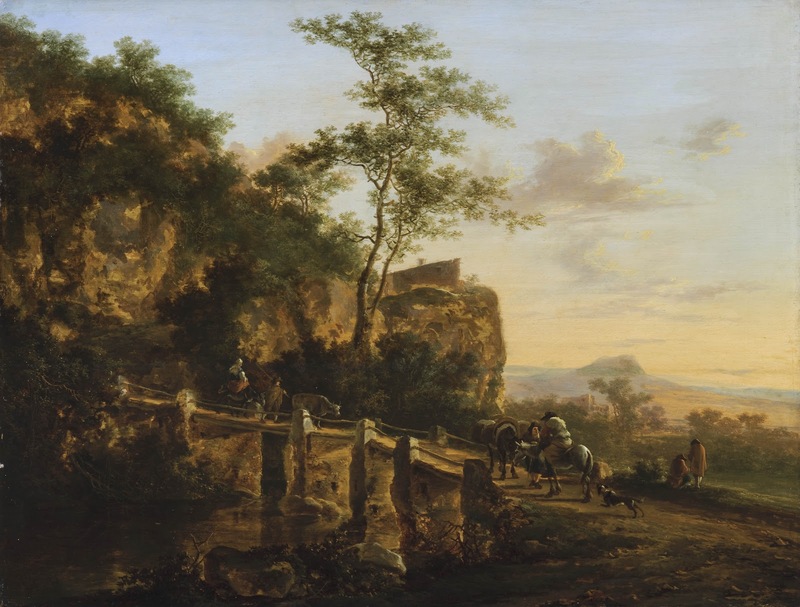 Certainly by 1646 Jan had returned to Utrecht, where he refined further his expansive, imaginary landscapes drenched with a Mediterranean golden light. 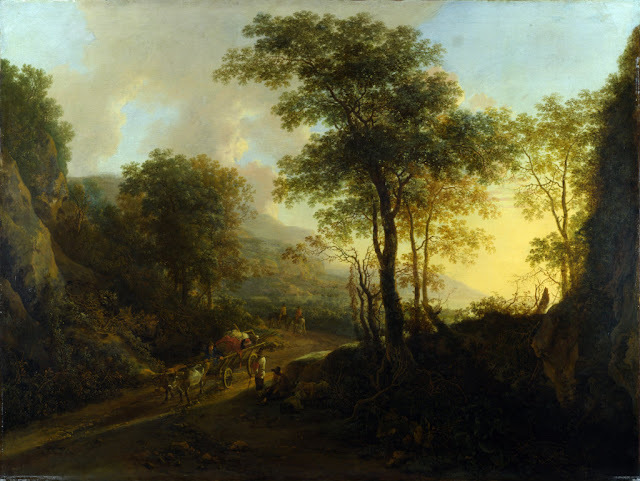 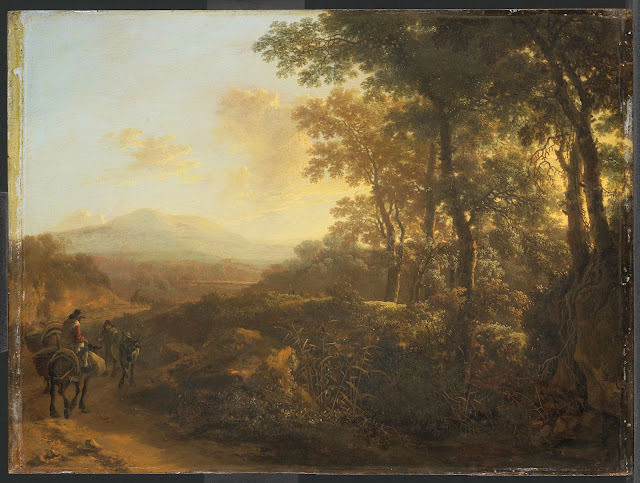 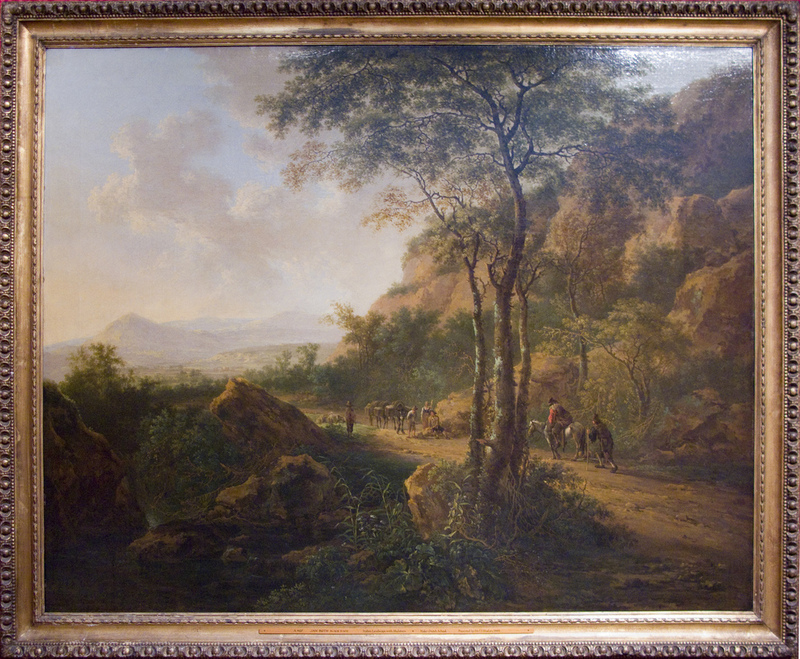 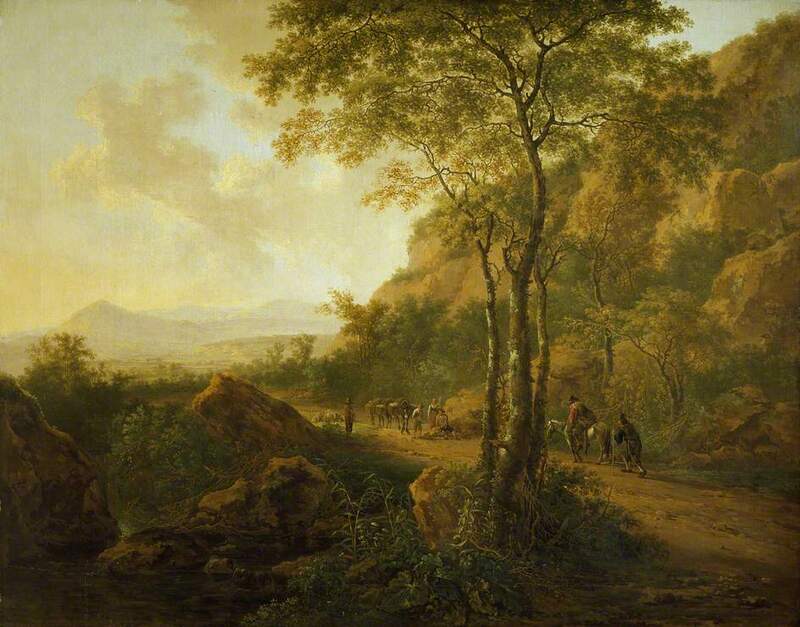 In Landscape with Bandits Leading Prisoners (Museum of Fine Arts, Boston) the sandy road makes a sweeping diagonal from the left. Touches of realism in the down-to-earth figures and detailed vegetation of the foreground contrast with the idyllic golden distance. 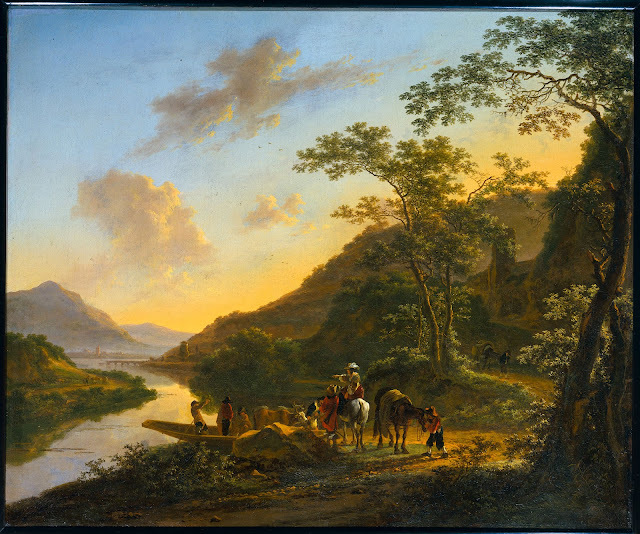 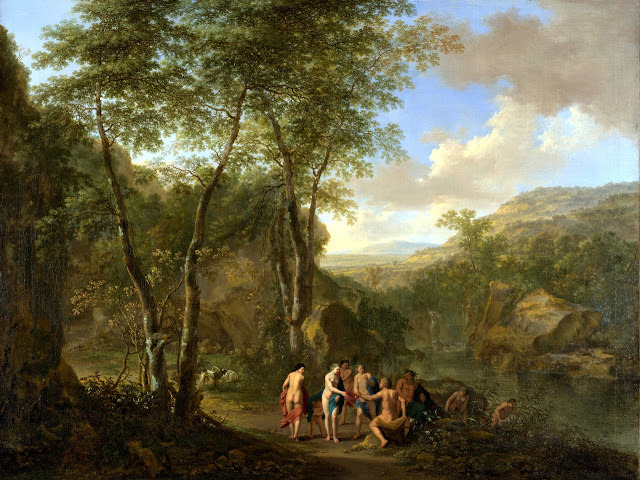 Occasionally Both peoples his landscapes with religious or mythological figures as in Judgement of Paris (London, National Gallery) where the figures were painted by a fellow Utrecht artist, Cornelis van Poelenburch. 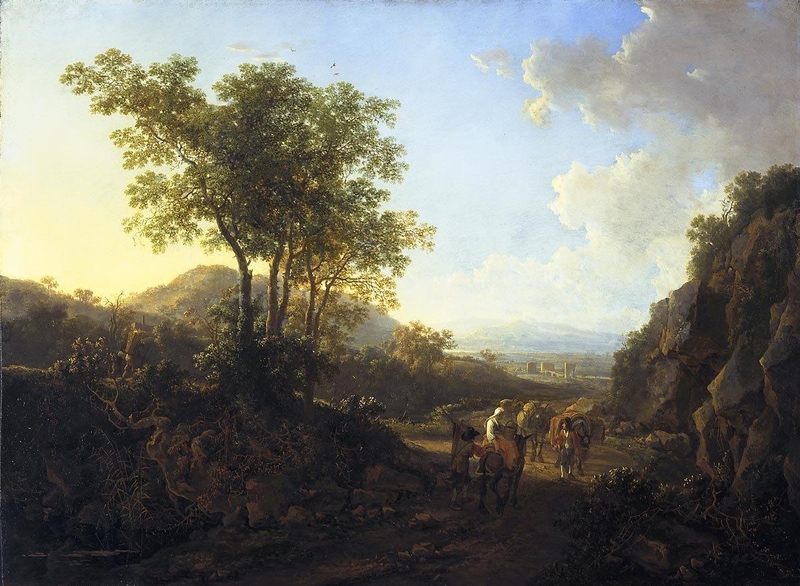 Jan's brother Andries (c.1612–41), who specialised in peasant scenes, died in Venice as they were returning to Utrecht. 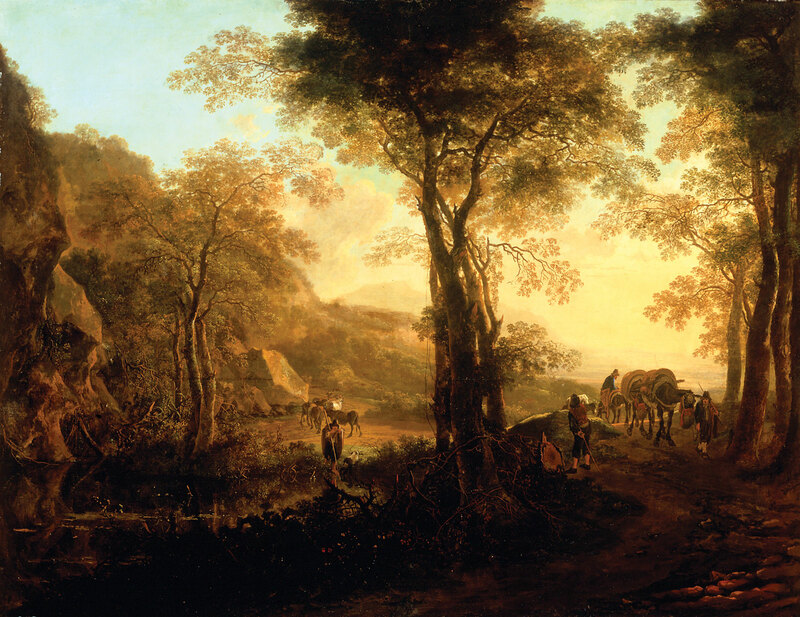 Both brothers are registered as Bentvueghels, but their nicknames are not known. 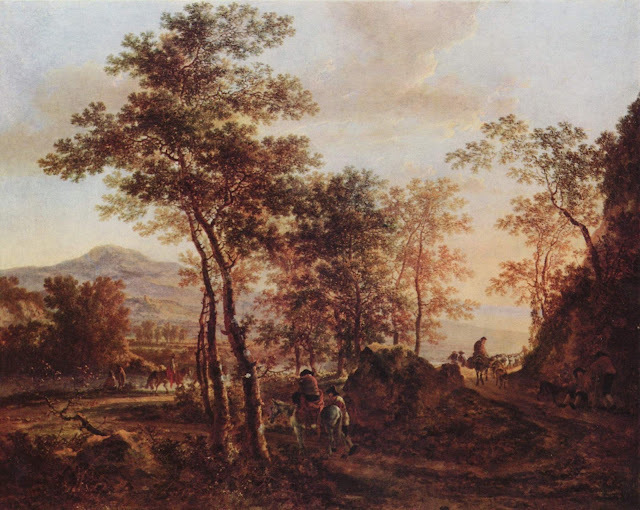 Jan's pupils were Barend Bispinck, Willem de Heusch, and Hendrick Verschuring. 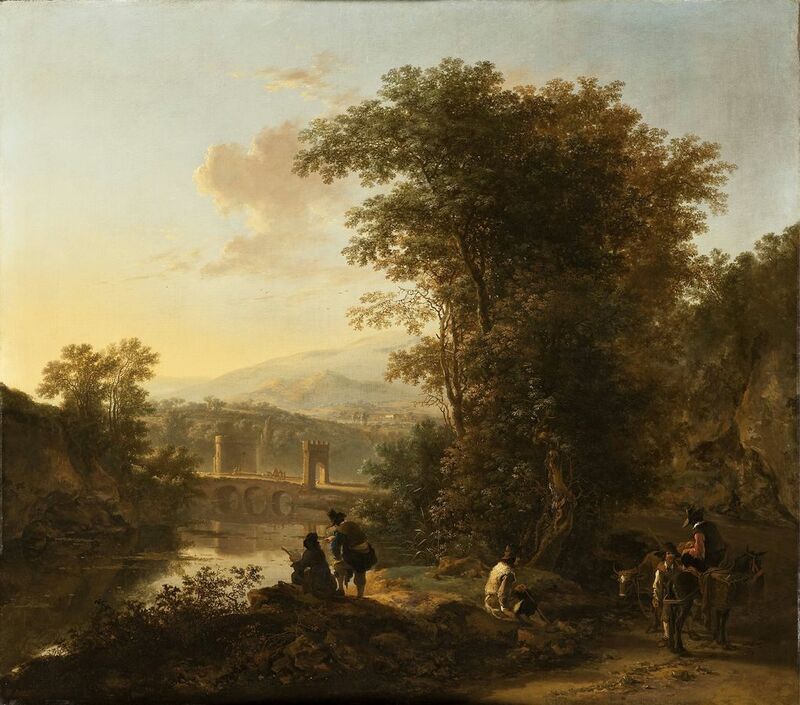 Jan Both died in his native city of Utrecht.